Each season there is a Red Squirrels United email newsletter which includes opportunities, programme updates and news from the sector. Click here to sign up if you’re not already. 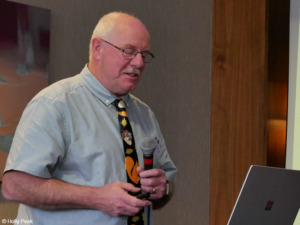 Alice Watson, a volunteer with the Merseyside Red Alert group gives us the lowdown on her experience at this year’s Knowledge Fair here. 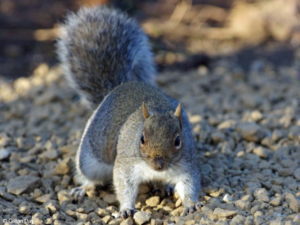 Charles Dutton; a chartered forester and Trustee and Director of the European Squirrel Initiative, talks about how to manage grey squirrels for woodland management. Click here to watch. With thanks to Red Squirrels Trust Wales for organising this webinar. Louise de Raad from Highlands and Islands University presents her research findings on optimising forestry management for red squirrels. Click here to watch. Thanks to Red Squirrels Trust Wales for organising the webinar. Dr Craig Shuttleworth reflects on the legislative loopholes that can leave red squirrels and other flora and fauna vulnerable to habitat destruction. Becky Clews-Roberts, Red Squirrel Ranger for Red Squirrels Trust Wales gives an update on their red squirrel conservation activity. Red Squirrels United Programme Manager, Nikki Robinson gives you some suggestions of how to get involved with Red Squirrel Awareness Week which is taking place 24-30 September 2018. A new family-friendly book has been published online. ‘Red Squirrels In My Garden’ explains how to feed red squirrels as well as the history of the species and the problems they face. It’s great that one of the Red Squirrels United partners has been associated with a lovely new resource. Download your free copy here. Scientists at the University of Aberdeen have published a study showing that pine martens can reverse the spread of invasive grey squirrels and consequently help red squirrels. Read more about the research here. Defra and GB Non-Native Species Secretariat (NNSS) launched Invasive Species Week in 2015 and it’s now bigger and better than ever! Friday 23 March – Thursday 29 March. More details available here. Monday 4 to Friday 8 June is the 2018 International Squirrel Colloquium, taking place in Galway. Key note speakers include Jane Waterman of the University of Manitoba and Stan Boutin of the University of Alberta. The event is held every three years and brings together squirrel researchers from around the world to discuss all aspects of squirrel biology including ecology, evolution, morphology, genetics and conservation. Find out more and book your place here. Red squirrel appreciation day is taking place on Sunday 21 January 2018. Keep an eye on our Facebook and Twitter pages for events to get involved in on the day. Do let us know if you are planning an event that you would like us to promote for you. Genomes (the complete set of genetic information) of both red and grey squirrels are going to be sequenced for the first time. This means that scientists will have more understanding than ever before of how they grow and develop. A big thank you to Dara McAnulty for his support of the programme. Have a read of how he’s been getting involved in the Ulster Wildlife RSU project here. There have been some red squirrel good news stories in the media over the past couple of months. For the first time in decades red squirrels are being seen in Aberdeen; Denbighshire’s Clocaenog Forest has been recognised by the Welsh Government as providing safe haven for red squirrels; and there has been a successful reintroduction of red squirrels to north-west Scotland. Do keep an eye out for the Red Squirrels United information boards that have now been installed across the stronghold areas that we are working in. Are you volunteering or working on a red squirrel conservation project? Firstly, thank you! Secondly, do tell us about it. We have Facebook and Twitter pages that we want to flood with your stories. In addition, our YouTube page launched in September with our first Red Squirrels United video. If you have any video footage or would like to do some filming for us we’d love to hear from you.